I have always wanted to try some barley recipes apart from barley water.When i was browsing for the same,I got an idea of making barley idli from here. I followed the same recipe.Idli came out super soft and tasty. I was not able to find i added barely.Thanks Aruna .Nowadays i make this idli very often.We can make crispy barley dosa as well.I wanted to make some changes to the recipe by adding oats and tried yesterday.My husband was surprised & asked me whether i’ve added oats and barley because there was no change in taste or smell from the usual idli recipe.Only the color of idli was different.He was very happy to have this idli for breakfast and dinner.I made dosas too. It was crispy and yummy.I have updated the pictures with step by step pictures.Hope it will be useful.Lets see how to make this healthy oats barley idli,dosa recipe.Check out my 12 Idli varieties HERE. Wash and soak all the above ingredients for 5 hours. Before soaking , rinse and drain for 2-3 times to remove the dust in barley. Grind it smooth by adding the required water and salt. Ferment it for a minimum of 12 hrs or over night. 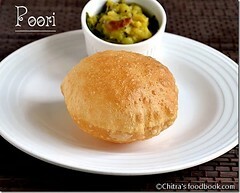 Make idlies by steaming in idli pot.It takes about 15-20 mins for cooking. Check it by inserting the tip of the spoon. If it comes out clean,idli is cooked. 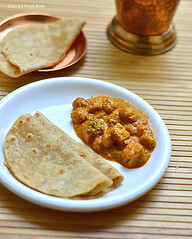 U can make crispy dosas also by adding water to the batter. Dilute the batter,mix well and make dosas. 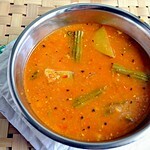 Enjoy soft,healthy idlies with sambar or chutney !! Please rinse the barley and other ingredients for a minimum of 3 times to remove all the stones and debris before soaking. Please soak barley for 5 hours at least. if u want , u can soak and grind urad dal & methi separately and then grind rice , barley , oats together .Finally mix both the batters and keep it for fermentation. Being lazy , i soaked and ground everything at once. 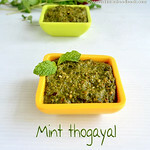 Also while grinding add water in small quantities whenever needed.It takes 25-35 mins for grinding. The consistency should be of normal idly batter consistency. 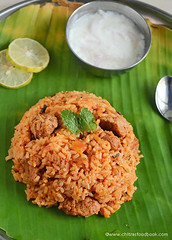 If u want to reduce the quantity of rice , u can make it to half cup and follow the same recipe. U can increase the quantity of oats and try the same . Please don’t reduce the ratio of urad dal as it gives the soft idly.If u want to use less urad dal , try adding rice flakes or cooked rice for softness. Fermentation is very important here. If it doesn’t ferment properly , i cant guarantee u about the taste and softness. 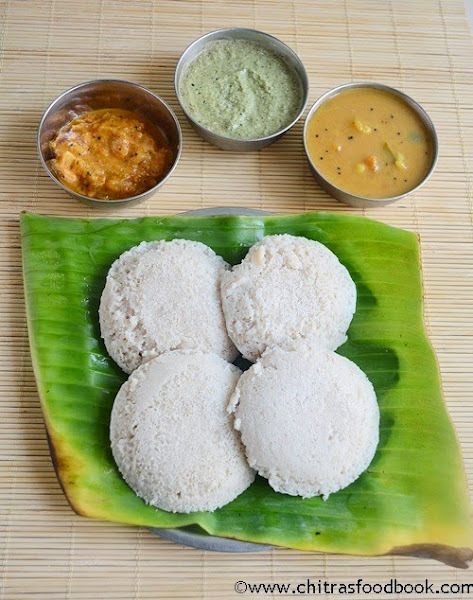 Technorati Tags: Barley idli,barley foods,oats idly,healthy idly,barley recipes,oats recipes,idly,health benefits of barley,healthy breakfast recipes,breakfast recipes. Wat a healthy idlis, inviting.crispy dosa looks fabulous too. 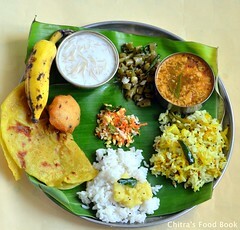 very yummy...love the crispy dosa..
very nutritious breakfast, both idly n dosa looks inviting..nice clicks!! Dosa and idlis look yummy and healthy. 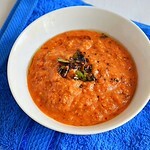 Healthy soft idlies and what a crisp dosa! Wish you a very happy,healthy and prosperous New Year. 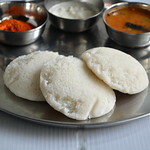 I haven't tried idli with barley, dosa looks very lacy and crispy! I so wish to have that dosa. Yum! 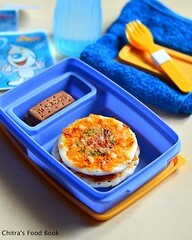 Nice take on idli! Gonna try out! Liked u on facebook! wow... super healthy. the dosa looks so crisp as well. I was actually on the lookout for barley recipes as well. Very healthy idly ....looks so fluffy. Wishing you and family a Happy, prosperous and blessed New year. 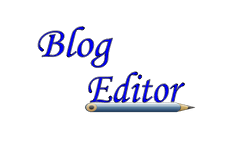 May all your dreams come true and happy blogging dear. Looks superb. A very Happy New Year to you and your family. This is awesome! and oats in idli and dosa is a big WOW thing for me. i have never ventured out dal and rice for dosa n idli. The dosa looks so good and crispy. Wow healthy and looks delicious! Would love to try the dosa!